Three former UConn players had multiple tackles as this week's NFL preseason schedule began with four games. Cornerback Robert McClain had three solo tackles in Atlanta's 27-23 loss to Baltimore. 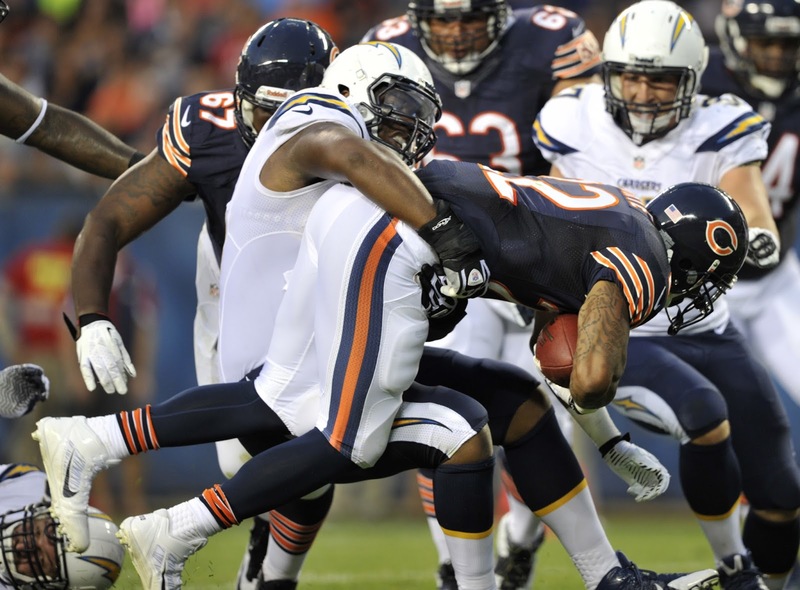 Lawrence Wilson had two solo tackles including a tackle for a loss as the Chicago Bears defeated San Diego 33-28. In the same game Kendall Reyes also had a pair of solo tackles for the Chargers. There are four more games tonight with the chance of seeing a former Husky in each of the games. Marcus Easley looks to build on a seven-catch performance in his preseason debut when the Buffalo Bills plays Minnesota. Dan Orlovsky is a reserve quarterback with Tampa Bay which plays at New England tonight. Orlovsky did not get into the preseason opener so it will be interesting to see how the quarterback snaps are distributed. Kansas City quarterback Alex Smith going up against his former team is the top story line in the KC/San Francisco game but it will also be the second game with the Chiefs for former UConn fullback Anthony Sherman. Last but certainly not least, Sio Moore and Tyvon Branch lead Oakland against New Orleans.